Fans of international blockbusters Madagascar, Kung Fu Panda and How to Train Your Dragon can soon be immersed in the magical world of animation as two decades of DreamWorks Animation’s greatest works come to life at ArtScience Museum for the first time in Asia. From 13 June, DreamWorks Animation: The Exhibition, curated by the Australian Centre for the Moving Image (ACMI) in collaboration with DreamWorks Animation, will feature 31 films and more than 400 displays, allowing visitors to experience how these animation works make the leap from initial sketches to their big-screen debuts. "This exhibition is all about both the art and the science involved in creating the stunning animation films for which DreamWorks is known. Whether Shrek was the first film you saw as a child or you brought your grandchildren to see How to Train Your Dragon, almost everyone has seen and experienced the magic of a DreamWorks film. At ArtScience Museum, we are excited to share the artistic processes and technical ingenuity that go into creating the iconic characters and worlds at the heart of these films. The immersive and interactive environment of this striking new exhibition is an ideal way to experience animation classics which cut through age and cultural barriers and connect with everyone," said Honor Harger, Executive Director of ArtScience Museum. As the first stop of its five-year international tour, DreamWorks Animation: The Exhibition will feature exclusive concept drawings and behind-the-scenes footage of the creative process and remarkable character sculptures. Film enthusiasts will also be amazed by captivating storyboards, reconstructions of DreamWorks' real-life workspaces and specially commissioned interactive environments. 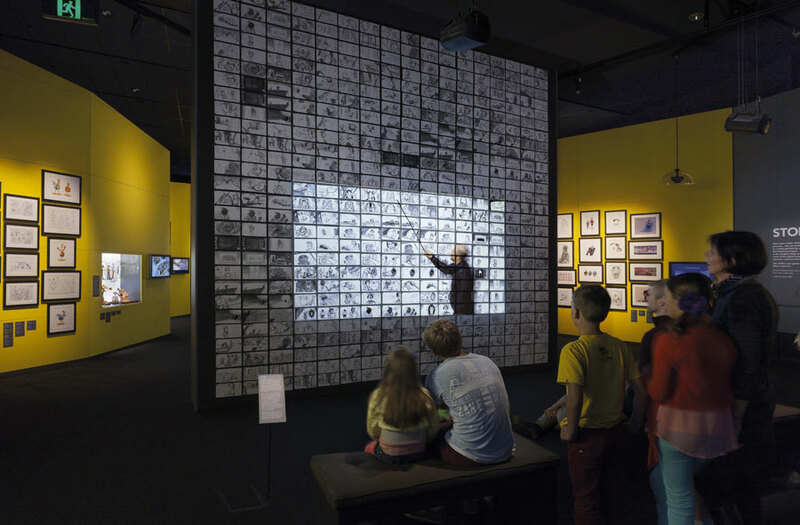 “The Australian Centre for the Moving Image is immensely proud to have collaborated with DreamWorks Animation to bring this amazing exhibition to life. Our plan was always to share it with the world after the enormously warm response from Australian audiences, so we’re delighted that visitors to ArtScience Museum will now also have the chance to experience the creative world behind the on-screen magic of DreamWorks Animation,” said ACMI CEO and Director Katrina Sedgwick. Visitors can step into three main galleries: Character, Story and World, to witness what it takes to create and bring to life such enchanting stories. This 20-year retrospective is a comprehensive look at the entire back catalogue of 31 DreamWorks Animation feature films, from the studio’s first theatrically released film Antz (1998) to recent releases, How to Train Your Dragon 2 (2014) and Home (2015). From endearing ogres to delightful dragons, the Character section unveils the evolution of DreamWorks’ most beloved characters. Movie buffs will have unprecedented access to the DreamWorks archive as they watch characters including Shrek, Po from Kung Fu Panda and the gang from Madagascar come to life before their eyes. Forty-seven exquisitely carved maquettes and in-depth video interviews with the production teams illustrate the exacting thought and detail poured into each character through the development process. A massive digital storyboard anchors the Story gallery. Visitors will be drawn in as they watch filmmaker Conrad Vernon perform, step-by-step, his gripping pitch for the infamous ‘Interrogating Gingy’ scene in Shrek. The World section focuses on the collaborative creation of the vivid, magical worlds evident in all DreamWorks films. Fans will see the work of directors, production designers and concept artists in this gallery, the largest section of the exhibition. The gallery also houses the exhibition’s highlight, Dragon Flight: A Dragon’s-Eye View of Berk. 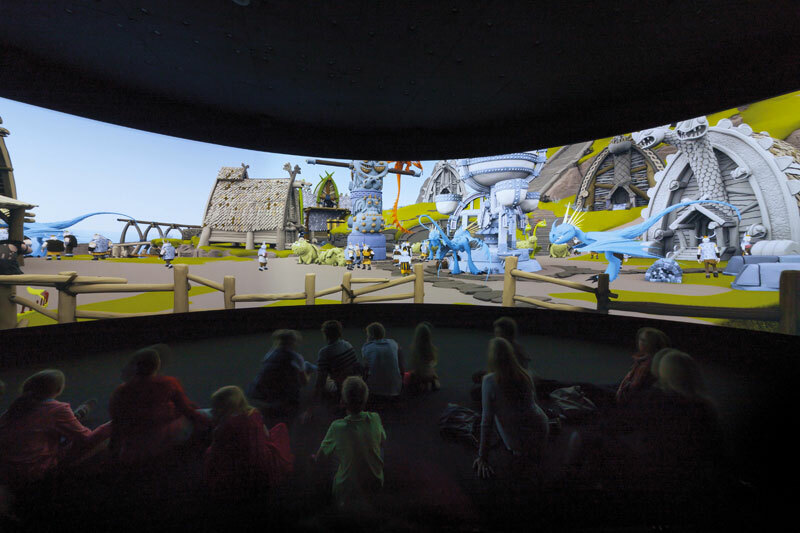 This spectacular, 180- degree projection offers visitors a never-before-seen vision of Berk, the Viking township from How to Train Your Dragon. Dragon Flight takes visitors on an exhilarating panoramic dragon ride on the back of Toothless, as the Isle of Berk builds around them.